... the Mid-County interchange, right off the Willow Grove exit of the PA Turnpike. 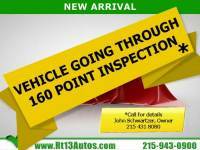 Call or stop in for an great car buying experience. Savings from $3,180 on over 27 previously owned Audi TT's for purchase through 16 traders neighboring Philadelphia, PA. Autozin features around 6,389,824 low-priced brand new and previously owned sedans, trucks, and SUV postings, offered in following model types: Coupe, Two Seaters, Convertible, Subcompact Cars. 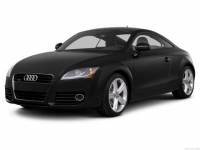 The Audi TT is offered in different year models to choose from 2002 to 2012, with prices starting as low as $4,000 to $26,500 and mileage available from 0 to 154,999. 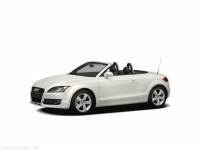 Audi TT in your location are available in various trim kinds to name a few most popular ones are: 2.0T Roadster S-Tronic, 2.0T FSi, RS, 3.2 Coupe Quattro S-Tronic, Coupe 2.0 TFSi Automatic, 2.0T Quattro S-Tronic, Cabriolet Automatic, 2.0 TDI Convertible Quattro, Automatic, 3.2 Coupe Quattro. The transmissions available include:: Automatic, Automated Manual, 6-speed automated manual, Manual, 6-speed manual. 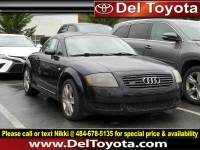 The closest dealership with major variety is called Del Toyota Inc., stock of 3 used Audi TT's in stock.